If you follow me on Twitter you’ll already know that I’m currently writing the Croxteth Park page for Historic Liverpool. 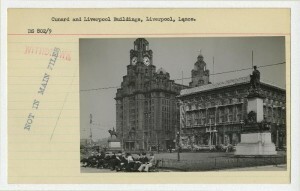 So while the blog might be a tad quiet at times, I want to share today a couple of websites: one of interest to Liverpool local history and family historians, and another which has a global scope but which may well build into a resource for the Liverpool-focused. There’s also a map-related news story for you. The new book by Ken Rogers, The Lost Tribe of Everton & Scottie Road, covers the period when the masses of terraced housing in the northern inner suburbs of Liverpool were demolished. 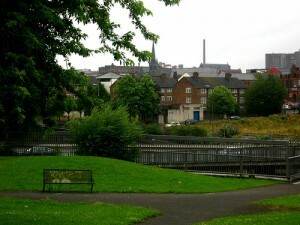 The communities in the area were scattered to places like Speke, Kirkby and Skelmersdale, and the houses replaced with Everton Park and the entrance to the Kingsway Tunnel. Ken went through the electoral role for 1960 to find all the people who lived in the now-gone communities, and collected memories and stories for his book. The amazing thing about the companion website (and a brilliant example of how to use the Internet to accompany a traditional book) is that you can actually search for the people in the ‘lost tribe’ by family surname or the name of the street they lived in. One thing to note, however: make sure you click on the Search tab to be taken to the search page first. I found that the home page search didn’t work for me. This site is a great resource for family history as well as people who want to reconnect with those they used to live near. There’s an active discussion going on at the site, so do pop along and report back if you rekindle any long-lost friendships! A lot of the stories are also of course collected in the book itself. And best of all the website has a string of old maps and photos of the area. Might come in useful when I come to be updating the history of Everton page next. I found this site via Seb Chan, who’s known in the Museum world for his work bringing archives and exhibits to the wider public through the Internet. SepiaTown is a site which maps photos, video and audio clips. It wants users (including museums and similar organisations) to upload their old photo collections for the entire world to gain the benefit. It’s best collections are in places like London, New York and, partly due to the work of Seb Chan and colleagues, Sydney. However, there’s a couple of photos around – though not in – Liverpool (just type it into the search box, then zoom out) and if anyone has any more images they’d like to share, this number will increase. I have a handful of old postcards which I keep meaning to scan in, so perhaps I can lend a hand. And if you’re feeling a bit left out with talk of the northern suburbs, National Museums Liverpool could have the answer for you. 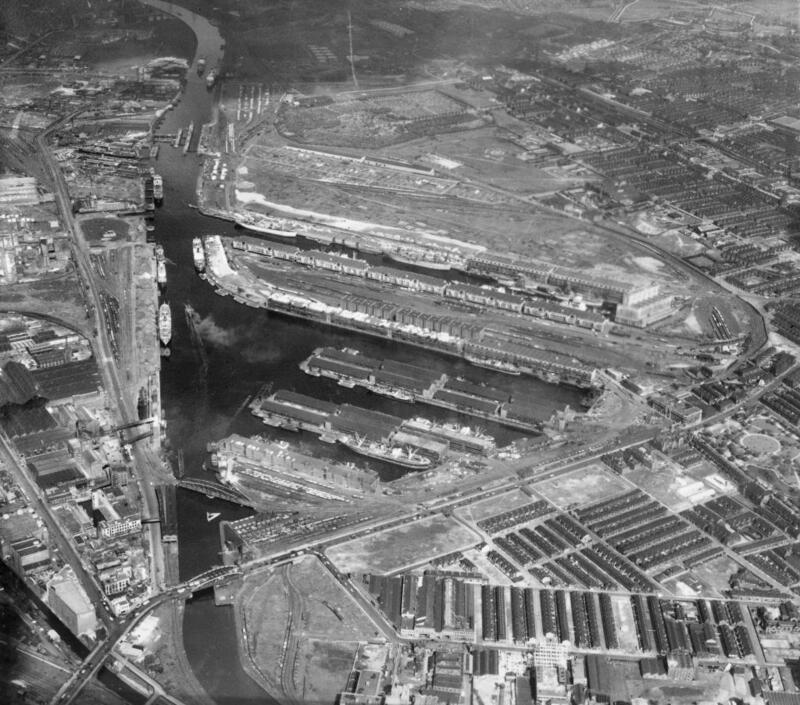 They are looking to hear from people with memories of living near the southern and central docklands from the 1950s to 1970s. The Mapping Memory project team ran a workshop at Doreen’s Cafe last month, focussing on Park Lane. They recreated the landmarks (pubs and shops etc) on a map as part of the project. The project page on the Maritime Museum website gives more detail. More for you to contribute to! Ken Rogers’ book The Lost Tribe of Everton & Scottie Road is available now through Amazon. If I’ve whetted your appetite for exploring the area and you’d like to support this blog, please click on the book cover to buy it through my Amazon affiliate link. Firstly, as an excitable mapping/interactive/web geek, I was interested in the new Domesday on a Map tool from The National Archives. This, as the name might suggest, is a map showing all the places mentioned in the Domesday Book. You have to zoom in to see any detail, but once there you get markers indicate the places named in Domesday, with an outline of the rough extent of the manor. Click on the markers to see the historic name of the place (in 1086) and the page of the Book on which its described. Director of Technology and Chief Information Officer David Thomas tells us why the map was produced in his blog post on the topic. Domesday Book predated Liverpool by about 200 years, but a couple of places in the area were very important at the time, and get an entry: West Derby, Woolton, Toxteth and Childwall amongst others. Whether or not your local history research is in Liverpool, Domesday on a Map is definitely must-see. Planning permission was submitted to Liverpool City Council last Monday, 4th October, for Liverpool Waters, a plan to develop 150 acres of Merseyside docklands. The scheme will include the tallest building outside London (possibly to be dubbed the “Shanghai Tower“), and for better or worse will transform Liverpool’s skyline. Permission has already been granted for Wirral Waters, a similar scheme for the waterfront on the south side of the Mersey. Planning permission documents have also been submitted for a stretch of Edge Lane including the retail parks and industrial areas. The scheme will cost £200m and include a new park in addition to ‘leisure and retail units’ (“shops” to you and me). The Merseyside Civic Society have awarded 8 different projects in four different categories at its relaunched awards scheme. The categories are best New Build, Green Space, Open Space and Refurbishment. Read the full article on the MCS Awards website. 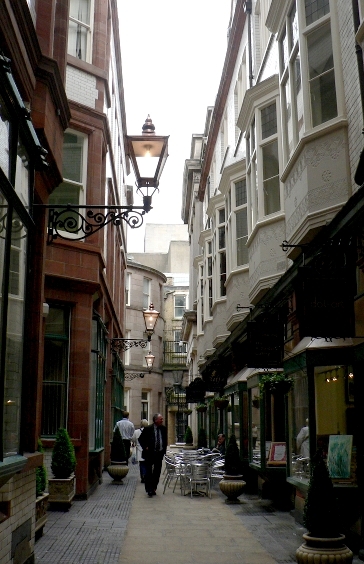 As two of my regular reads collide, SevenStreets has an article on Colin Wilkinson’s Streets of Liverpool, a site of interest to anyone reading this post I should think. As well as discussion of how the site started, Colin describes how he came to where he is now, via the Open Eye gallery on the corner of Whitechapel to the Bluecoat Press which he has run since 1992. There are also a couple of classic photos from Colin’s archives. Well, that’s it for now. Hopefully I’ll have some more Historic Liverpool news sooner or later, as I’m trying to find time for more additions to that site. English Heritage and London Metropolitan University today launch Visible in Stone, a project and online resource to explore the influence women had on the built environment during a century of intense social change. After the Second World War, and the undeniably essential jobs done by women during 1939-45 occupying the gaps left by conscripted men, women had gained political and social rights perhaps undreamed of by their ancestors of one hundred years before. However, the journey to this point began to take off around 1850, and the Visible in Stone project seeks to publicise the archives and information which bring this journey to life. How this ties in to this blog and the very phrase ‘visible in stone’ lies in the institutions and organisations which campaigning women and men formed themselves to fight for rights such as suffrage. An example is the meeting of the Manchester National Society for Women’s Suffrage in the Manchester Free Trade Hall in 1868. As the English Heritage page says: “The buildings … are a monument to those women who had the tenacity and courage to argue for and capture their vision for our future.” Wash houses, lodgings, offices and even shops were all arenas where women began to change their place in society. 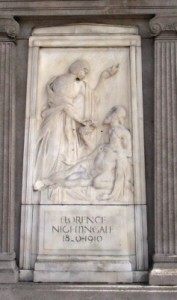 I have to admit that my knowledge of this type of history in Liverpool is limited, although I know that the city is one of three (along with Derby and London) which has a monument to Florence Nightingale (at the corner of Princes Road). In addition, the first trained Nightingale nurses began work at the Liverpool Workhouse Infirmary. The Visible in Stone project is perfect for one such as I then, as they want your help. There is a Visible in Stone Flickr group associated with the project where you can add your photos of buildings important to women’s history. This should build into a collection of images to celebrate the journey from 1850 to 1950, and highlight the impact on the built environment this period and these people had. Do go and see if you can contribute. But, while you’re here, are there any more places on Merseyside with an essential role for women between 1850 and 1950? Let us know in the comments. A lot of the themes covered in this blog post, as well as Visible in Stone can be found in Women’s History: Britain, 1850-1945: An Introduction, edited by June Pervis. The book consists of chapters dealing each with a theme on the topic, and is an introduction to women’s history. If you’d like to support this blog, please consider buying this book through the affiliate link. Click on the book cover to go to Amazon. The Heritage Lottery Fund have recently agreed to grant £1.75 million to help put an amazing collection of aerial photographs online. The photos will be conserved, scanned and made available on a new website, to be called Britain from Above, and is a collaboration between English Heritage and the Royal Commissions on the Ancient and Historic Monuments of Scotland and Wales. Aerofilms was a company set up in 1919 by veterans of the First World War, and flew across the UK taking over a million aerial shots. These are now held in Swindon, Edinburgh and Aberystwyth by the three main organisations involved. The project will start digitising chronologically, and so will have photos from 1919 to around 1927 when the website launches in 2011. Once up, visitors will be able to search for images, and tag and add notes to them to create a ‘crowdsourced’ archive of information. This is going to be a pretty amazing resource – I’ve seen some of the shots (an example is above), and the Aerofilms collection kept growing until 2006 so it’s an important historic resource. Until the site goes up you can order photos covering England through the usual NMR channels. For more details, contact aerofilms@english-heritage.org.uk, or sign up for updates on the English Heritage news page. Of course, as soon as I hear any more myself you’ll hear about it here! 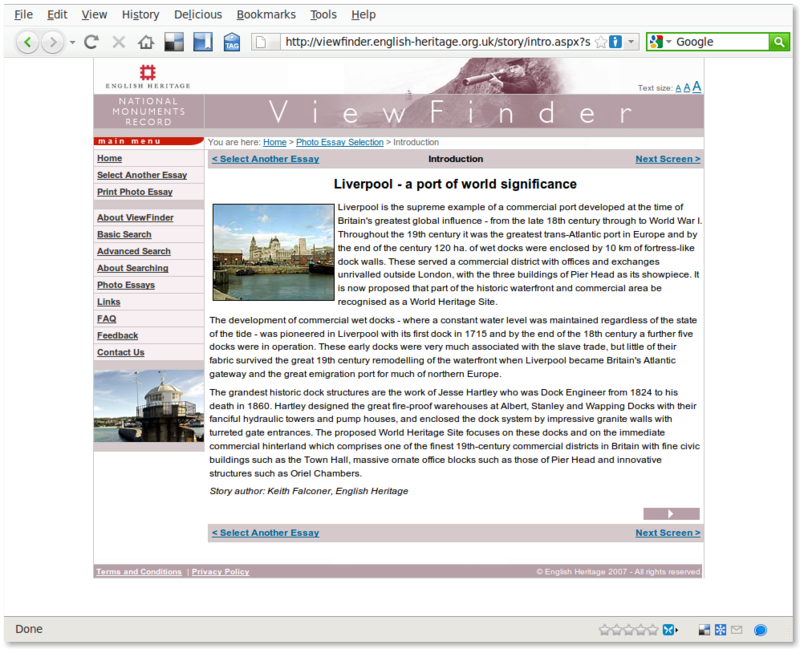 There are many sources of information we can use to investigate Liverpool’s history. There is the local Historic Environment Record (HER), the many libraries, and the local record office. On a national scale, and a counterpart to the HER, is the National Monuments Record (NMR) in Swindon, which has been part of English Heritage since 1999. The NMR holds millions of photos, plans and other documents, some of which it puts online. When I first started work for the NMR I played a small role in the expansion of ViewFinder, and this is still my favourite English Heritage site. 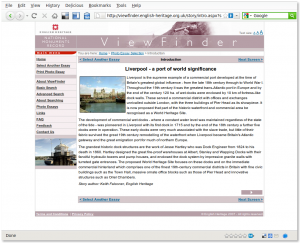 One of the best, but little-known features are the entrancingly-titled Photo Essays, one of which is called Liverpool: a port of world significance. This is a short introduction followed by 12 images taken from the NMR’s archives, with captions written by Keith Falconer, one time Head of Industrial Archaeology for English Heritage. It was written a little while ago now, and some of the pictures feel a little out of date (the view across from the Albert Dock to the Pier Head seems to be missing… something) but it’s refreshing to read about the city’s history and architecture from an author who doesn’t appear to feel the hot breath of passionate Scousers looking over his shoulder. He gives the city its due without hyperbole, and acknowledges that it was, indeed, a city of world importance. As well as the Pier Head and Stanley Docks, Falconer takes in civic buildings like the Town Hall, and the under-appreciated Oriel Chambers, one of the first iron-framed buildings in the world. Once you’ve read that, there are a couple of other Photo Essays which might take your fancy, but don’t forget to look at ViewFinder’s entire collection of Liverpool photos. There’s stuff from over 150 years of history, including photos that aren’t that old, but are already becoming important records of Merseyside’s past. The National Archives have produced UK Photo Finder, a map-based tool for finding historic photos in your area. The free tool is one of their ‘Lab’ projects, and so is open for comments and queries, though you may find a few bugs here and there (one user found it doesn’t work on Firefox for the Mac, and I’ve found it can occasionally refresh at annoying moments). Nip on to the site and have a play around. There are 31 photos of Liverpool City Centre (although there’s a sneaky one of the Sefton Park Peter Pan statue in there); 5 attached to Huyton; and 18 on the Wirral. The images are also shown attached to their record cards, keeping the photos ‘in context’ as archives, not just as photographs. The photos at the moment are exclusively from the important Dixon-Scott collection, although I suspect that if this pilot is successful, they will extend it to other collections. I hope they do, as this is a really great site. Dixon-Scott is of great interest to readers of this blog, as he saw and recorded the changing landscape of Britain with the expressed aim of preserving what he saw as the disappearing landscape. It’s also quiet similar to the independently produced (and ‘crowd-sourced’) Historypin project, which I also recommend you have a look at (and which also has a few bugs to iron out). I know, I know, you’ve been waiting and waiting for this! So without much further ado, I present a selection of old maps of interest to the avid and casual Liverpool historian. 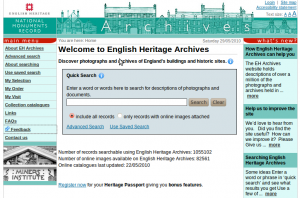 English Heritage Archives is a new website which allows you to search the catalogues of the National Monuments Record in Swindon, without having to visit. There are basic and advanced search pages, the ability to save your searches, and individual records, and you can order copies of any archives. As with the normal Enquiry and Research Services, they’ll then send you photocopies of any photos relevant to your interests, and you can order better quality prints. The original service is still available for those who want to use it. The site is part of the NMR’s group of websites such as ViewFinder (historic photos) and Heritage Explorer (educational material), and where an image is available on ViewFinder, you’ll see it in your search results on EH Archives. The site went live at the start of April, so the team who put the site together need your feedback to help them improve it. They’re also interested in how useful it is, and which features are most used. There’s a link in the left hand menu to their feedback survey, so if you’re a professional or amateur researcher have a play around and vent forth your opinions! Over the past few weeks I’ve come across a handful of very interesting looking sites for those of you with a local history interest. The best thing about them is that they’re after your input, so pop along and see what you can contribute! Building History is a specialised wiki site, much like the (in)famous Wikipedia and the Liverpool Wiki. It encourages users to submit information about any road or building to its database, even the one you live in! Almost 200 roads and nearly 300 buildings have been added, and the site’s only been online since October 2009. All you need is an email address, and you can get going. The Warwick page is the most complete, so use that as a template. Liverpool is there, waiting for someone to add something, though note that it’s placed in Lancashire! For those privacy-concerned individuals (like me), it’s good to know they only allow publicly-available data to be added (census data, for example). Liverpool Signs, Mosaics, Words and Graffiti is a set of photos on Flickr which collects together a huge number of images of… well, signs, mosaics, words and graffiti. The most obviously interesting ones to readers of this blog are the ancient signs painted on the sides of warehouses and shops, or the tiled signs such as this Liverpool Co-operative sign in Bootle. But the collection also includes a huge number of other examples, from the formal to the most informal. Of especial interest to me, as a ‘hidden landscape’ geek, is the boundary marker from Smithdown Road. I’m not sure whether this is a township boundary post or one for the London and North Western Railway (that’s the stamp on the marker), but Smithdown Road crosses the old boundary between the Toxteth and Wavertree townships. Two other Flickr Groups you might be interested in are the Old Liverpool and Secret Life of Smithdown Road groups. Finally, we have the Open Plaques project. This, in its own words, is “a service that aims to find and provide data about all the commemorative ‘plaques’ (often blue and round) that can be found across the UK and worldwide”. You can browse their database via peoples’ names, places, or organisation, and the site wants all the plaques photographed, tagged with their geographical location, and have their colour identified. There’s a neat little graph on the home page letting you know how they’re getting on. The data comes from a variety of sources (including English Heritage’s blue plaques site and Freedom of Information requests) which have been cleaned up for presentation on the site. You can help them by getting in touch, or taking a photo of one and uploading it to Flickr. If you tag the photo correctly (as explained on the site) it will appear next to the relevant entry. Brilliant! All the data is free for you to reuse, and the maps are created using OpenStreetMap. You can follow the project via Twitter: @openplaques, or on their . There are nine plaques for the city of Liverpool. The University of Liverpool and John Moores University are assessing the impact of the 2008 Capital of Culture year in a project called Impacts 08. 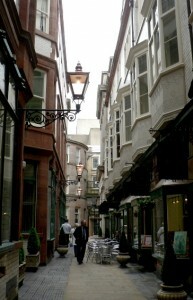 Research has gone on since 2005, and is now at the stage of judging the effects the year had on the city of Liverpool. Already a whole load of reports are available divided into themes of economics, taking part, culture and the arts, as well as others. My eye was naturally drawn to Liverpool 08 – Centre of the Online Universe, which covers the web and social media (unfortunately my own sites don’t get a mention :)). You can follow Impacts 08 on Twitter, or on the Impacts 08 blog. I was going to pick and choose a couple of read, but to be honest, these all look like interesting stuff! Let me know what you think of these in the comments section below. Do they reflect your experience? Did they miss anything out? This looks like a fairly old corner of the Liverpool Museums site, but Trading Places is a simple and informative interactive map of Liverpool’s dock system and its history. The left-hand menu highlights the docks involved in trade with different parts of the world, as well as the docks’ names and the very reason for the dock systems construction. There’s also a timeline of significant dates along the bottom. This is a great little tool, and its slightly old-fashioned look and pop-up windows just reflects the simplicity of getting the information across. I’ve been playing around with interactive web maps for a good few years now, so it’s great to see what can be achieved very simply. There’s even an accessible version (click on “begin the voyage”)! Kudos to Laura Davis’ blog on the Daily Post website, whose advent calendar pointed me to this site, and which has been an lovely little source of historic websites over the last week! Trading Places is the destination behind door 11. Copyright © 2019 Martin Greaney. All rights reserved.